If you’ve always dreamed of the picture-perfect destination wedding in paradise, then you’ll love this stunning wedding feature from Style Me Pretty at Dreams® La Romana Resort & Spa. We’re loving every detail of the gorgeous ceremony overlooking the sea and the colorful reception under the stars. Check out some photos from the happy couple’s wedding, then head on over to Style Me Pretty to learn more about why the bride and groom picked Dreams La Romana for their big day. A stunning wedding at Dreams La Romana Resort & Spa. Photo courtesy of Style Me Pretty. Here Are 5 Destination Wedding Trends at Dreams Resorts & Spas You Don’t Want to Miss! The memory of your wedding day will last a lifetime. It is an event that represents you as a person and the two of you as a couple. Take a look at some of the hottest trends for Destination Weddings in 2015 and how Dreams Resorts & Spas can make them happen! These trends are sure to create a unique event that you will want to relive over and over! Technology is a rapidly changing and an ever growing part of our world. So why not incorporate the latest high tech gadgets into your wedding celebration!? Add an aerial component to your wedding video with a drone camera service! This is great for destination weddings because not only can you and your guests be in the picture, but the entire surrounding area can be represented. Photographers and videographers have also started using GoPros to get really creative video to commemorate your special day. Selfies are ever popular across all social media platforms. It took no time at all for the selfie stick to catch on for weddings! Now, the ultimate Instagram worthy selfies are being created using this innovative and popular technology. One of the growing trends for 2015 is a preference towards environmentally conscious events. Natural flowers and décor are becoming a growing decorative option. 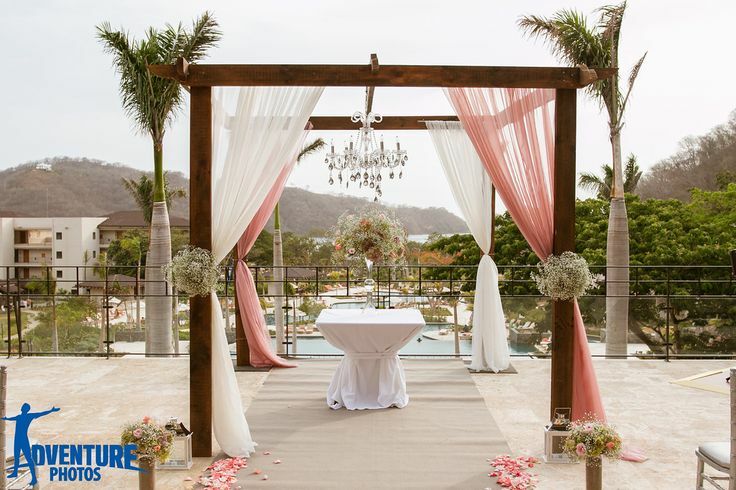 Dreams Las Mareas in the Guanacaste region of Costa Rica has wedding coordinators who are excellent at integrating luscious greenery and gorgeous, natural flowers into the wedding décor. You can use natural flowers to accent your wedding décor for a pop of color that doesn’t take a toll on the environment. Destination weddings are great for offering couples a lot of options and a lot of time with their guests. Traditional weddings typically encompass an 8 hour period; whereas, with a destination wedding, you can have several days with your guests. This opens your options up to adding a welcome party for your event. Try having a welcome bonfire on the beach with an open bar service offering top shelf spirits or set up a private tequila tasting with delicious bites! No matter what you plan, your guests will love the added time they get to spend together socializing at the special event you put together! Honoring cultural heritage or religion is important for so many couples. 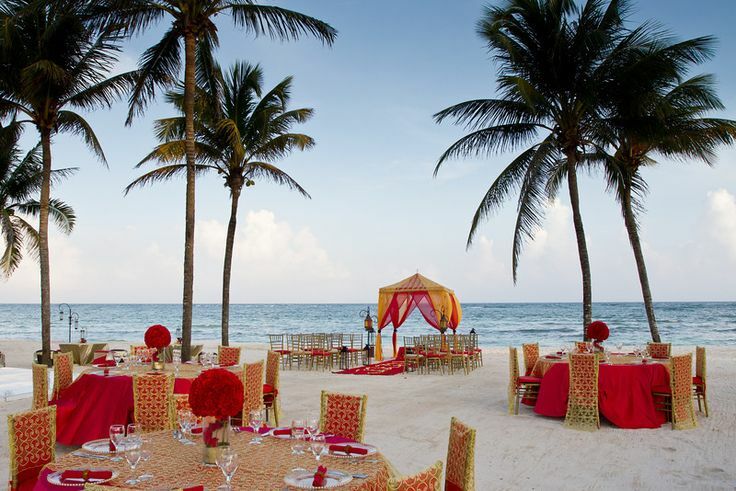 All Dreams Resorts & Spas can offer South Asian style weddings and there are even some resorts that are specifically certified for authenticity for these elaborate gorgeous weddings. Dreams Tulum can offer almost every couple exactly what they’re looking for! They offer South Asian style weddings with the amazing Shaadi Package designed to encompass 6 events. They also have an on-site chapel where Catholic ceremonies can be performed. On top of these two great options, any couple can choose to have a traditional Mayan ceremony with a Shaman. Since you’re pulling out all the stops and really treating your guests to the ultimate experience at your wedding, why not add the pinnacle of all dessert options? The Viennese Hour is a growing trend in weddings. It may be confused with a dessert bar, but make no mistake; the Viennese Hour goes above and beyond a typical dessert bar. This decadent trend is basically all your guests could ever want in dessert options at weddings. The Viennese hour consists of table after table of delicious treats ranging from chocolate covered strawberries to cakes to cookies and everything in between. Be sure to enjoy every second of your wedding celebration and let Dreams Resorts & Spas take care of the rest! Find the wedding package that fits your needs today!